Virginia HOA and Business Law Blog: » Pesticides, Fungicides, and Herbicides: Why do Virginia HOAs need to know the difference? At first glance the statutory requirement seems reasonable to give your community notice when applying pesticide. But what actually is a pesticide? Do herbicides count? Fungicides? Today’s gardener must seemingly be a part-time chemist to understand all the different chemicals on the market that are supposed to keep our flowers and plants healthy, our grass green, and the bugs away. Fortunately, the EPA has offered helpful guidance on this matter. The EPA, through the Federal Insecticide, Fungicide, and Rodenticide Act controls the distribution, sale and use of pesticides, and the law is frequently being updated. On the EPA website, a pesticide is defined as “any substance or mixture of substances intended for preventing, destroying, repelling, or mitigating any pest.” Though often misunderstood to refer only to insecticides, the term pesticide can also apply to certain herbicides, fungicides, and other substances used to control “pests.” The EPA defines pest as insects, animals, weeds, fungi, microorganisms, or prions. Finally, the EPA notes that products that kill mold and mildew and some lawn and garden products, such as weed killers, contain pesticides. The EPA guidelines, although not necessarily binding law upon HOAs and Condominium Associations, absent any other guidance, might be a good resource when a Board of Directors is faced with this issue. HOAs should make sure to communicate with their landscapers, gardeners, exterminators, or other professionals that may be applying chemicals to the common area. “Pesticide” is a broad term, and so it is important to understand the characteristics of the product applied. Your HOA or management company should communicate this information with its association lawyer in the ongoing efforts to stay in compliance with the law. 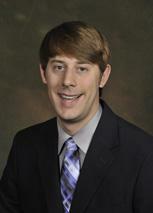 Our Summer Associate for 2014 is Christian Schreiber, a rising third-year law student at the William & Mary Law School. Christian contributed to this blog post.